J is the tenth letter in the modern English alphabet and the ISO basic Latin alphabet. Its normal name in English is jay /dʒeɪ/ or, now uncommonly, jy /dʒaɪ/ . When used for the palatal approximant, it may be called yod ( /jɒd/ or /joʊd/ ) or yot ( /jɒt/ or /joʊt/ ). 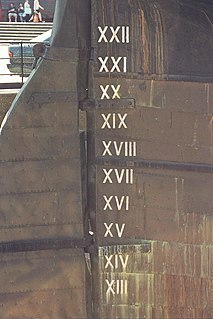 The letter J was used as the swash letter I[ citation needed ], used for the letter I at the end of Roman numerals when following another I, as in XXIIJ or xxiij instead of XXIII or xxiii for the Roman numeral representing 23. A distinctive usage emerged in Middle High German. Gian Giorgio Trissino (1478–1550) was the first to explicitly distinguish I and J as representing separate sounds, in his Ɛpistola del Trissino de le lettere nuωvamente aggiunte ne la lingua italiana ("Trissino's epistle about the letters recently added in the Italian language") of 1524. Originally, 'I' and 'J' were different shapes for the same letter, both equally representing /i/, /iː/, and /j/; but, Romance languages developed new sounds (from former /j/ and /ɡ/) that came to be represented as 'I' and 'J'; therefore, English J, acquired from the French J, has a sound value quite different from /j/ (which represents the initial sound in the English word "yet"). In English, ⟨j⟩ most commonly represents the affricate /dʒ/ . In Old English, the phoneme /dʒ/ was represented orthographically with ⟨cg⟩ and ⟨cȝ⟩. Under the influence of Old French, which had a similar phoneme deriving from Latin /j/, English scribes began to use ⟨i⟩ (later ⟨j⟩) to represent word-initial /dʒ/ in Old English (for example, iest and, later jest), while using ⟨dg⟩ elsewhere (for example, hedge). Later, many other uses of ⟨i⟩ (later ⟨j⟩) were added in loanwords from French and other languages (e.g. adjoin, junta). 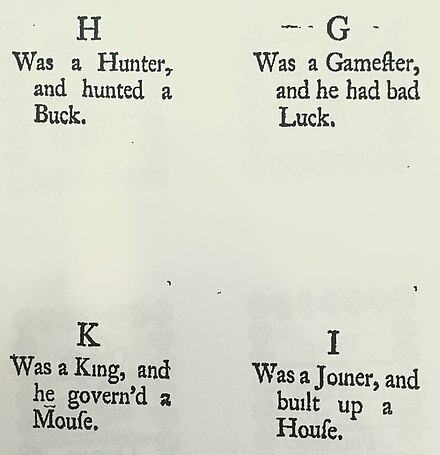 The first English language book to make a clear distinction between ⟨i⟩ and ⟨j⟩ was published in 1633. In loan words such as raj, ⟨j⟩ may represent /ʒ/. In some of these, including raj , Azerbaijan , Taj Mahal , and Beijing , the regular pronunciation /dʒ/ is actually closer to the native pronunciation, making the use of /ʒ/ an instance of a hyperforeignism. Occasionally, ⟨j⟩ represents the original /j/ sound, as in Hallelujah and fjord (see Yodh for details). In words of Spanish origin, where ⟨j⟩ represents the voiceless velar fricative [ x ] (such as jalapeño), English speakers usually approximate with the voiceless glottal fricative /h/ . In English, ⟨j⟩ is the fourth least frequently used letter in words, being more frequent only than ⟨ z ⟩, ⟨ q ⟩, and ⟨ x ⟩. It is, however, quite common in proper nouns, especially personal names. The frequency of letters in text has been studied for use in cryptanalysis, and frequency analysis in particular, dating back to the Iraqi mathematician Al-Kindi, who formally developed the method. Z is the 26th and final letter of the modern English alphabet and the ISO basic Latin alphabet. Q is the 17th letter of the modern English alphabet and the ISO basic Latin alphabet. 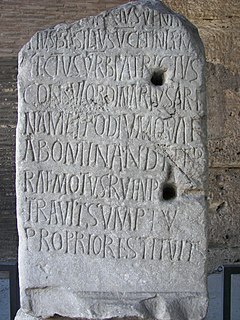 In nearly all languages using the Latin script it is a consonant, not a vowel. In the Romance languages, ⟨j⟩ has generally developed from its original palatal approximant value in Latin to some kind of fricative. In French, Portuguese, Catalan, and Romanian it has been fronted to the postalveolar fricative /ʒ/ (like ⟨s⟩ in English measure). In Spanish, by contrast, it has been both devoiced and backed from an earlier /ʝ/ to a present-day /x ~ h/,  with the actual phonetic realization depending on the speaker's dialect/s. The Royal Thai General System of Transcription does not use the letter ⟨j⟩, although it is used in some proper names and non-standard transcriptions to represent either จ[tɕ] or ช[tɕʰ] (the latter following Pali/Sanskrit root equivalents). In the United Kingdom under the old system (before 2001) , a licence plate that begins with "J" for example "J123 XYZ" would correspond to a vechicle registered between August 1, 1991 and July 31, 1992. Again under the old system, a licence plate that ends with "J" for example "ABC 123J" would correspond to a vehicle that was registered between August 1, 1970 and July 31, 1971  . Fricatives are consonants produced by forcing air through a narrow channel made by placing two articulators close together. These may be the lower lip against the upper teeth, in the case of ; the back of the tongue against the soft palate, in the case of German ; or the side of the tongue against the molars, in the case of Welsh. This turbulent airflow is called frication. A particular subset of fricatives are the sibilants. When forming a sibilant, one still is forcing air through a narrow channel, but in addition, the tongue is curled lengthwise to direct the air over the edge of the teeth. English, ,, and are examples of sibilants. An affricate is a consonant that begins as a stop and releases as a fricative, generally with the same place of articulation. It is often difficult to decide if a stop and fricative form a single phoneme or a consonant pair. English has two affricate phonemes, and, often spelled ch and j, respectively. A caron, háček or haček also known as a hachek, wedge, check, inverted circumflex, inverted hat, is a diacritic commonly placed over certain letters in the orthography of some Baltic, Slavic, Finnic, Samic, Berber, and other languages to indicate a change in the related letter's pronunciation. A digraph or digram is a pair of characters used in the orthography of a language to write either a single phoneme, or a sequence of phonemes that does not correspond to the normal values of the two characters combined. In phonetics, palato-alveolar consonants are postalveolar consonants, nearly always sibilants, that are weakly palatalized with a domed (bunched-up) tongue. They are common sounds cross-linguistically and occur in English words such as ship and chip. The grapheme Ž is formed from Latin Z with the addition of caron. It is used in various contexts, usually denoting the voiced postalveolar fricative, a sound similar to English g in mirage, or Portuguese and French j. In the International Phonetic Alphabet this sound is denoted with, but the lowercase ž is used in the Americanist phonetic notation, as well as in the Uralic Phonetic Alphabet. In addition, ž is used as the romanisation of Cyrillic ж in ISO 9 and scientific transliteration. The International Phonetic Alphabet was created soon after the International Phonetic Association was established in the late 19th century. It was intended as an international system of phonetic transcription for oral languages, originally for pedagogical purposes. The Association was established in Paris in 1886 by French and British language teachers led by Paul Passy. The prototype of the alphabet appeared in Phonetic Teachers' Association (1888b). The Association based their alphabet upon the Romic alphabet of Henry Sweet, which in turn was based on the Phonotypic Alphabet of Isaac Pitman and the Palæotype of Alexander John Ellis. ↑ "Wörterbuchnetz" . Retrieved 22 December 2016. ↑ De le lettere nuωvamente aggiunte ne la lingua Italiana in Italian Wikisource. 1 2 Hogg, Richard M.; Norman Francis Blake; Roger Lass; Suzanne Romaine; R. W. Burchfield; John Algeo (1992). The Cambridge History of the English Language. Cambridge University Press. p. 39. ISBN 0-521-26476-6. ↑ Wells, John (1982). Accents of English 1: An Introduction. Cambridge, UN: Cambridge University Press. p. 108. ISBN 0-521-29719-2. ↑ Penny, Ralph John (2002). A History of the Spanish Language. Cambridge, UK: Cambridge University Press. ISBN 0-521-01184-1. ↑ Cipolla, Gaetano (2007). The Sounds of Sicilian: A Pronunciation Guide. Mineola, NY: Legas. pp. 11–12. Retrieved 2013-03-31. 1 2 Constable, Peter (2004-04-19). "L2/04-132 Proposal to add additional phonetic characters to the UCS" (PDF). 1 2 Everson, Michael; et al. (2002-03-20). "L2/02-141: Uralic Phonetic Alphabet characters for the UCS" (PDF). ↑ Ruppel, Klaas; Rueter, Jack; Kolehmainen, Erkki I. (2006-04-07). "L2/06-215: Proposal for Encoding 3 Additional Characters of the Uralic Phonetic Alphabet" (PDF). 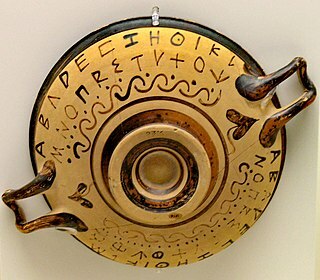 ↑ "Unicode Character 'GREEK LETTER YOT' (U+03F3)" . Retrieved 22 December 2016. ↑ "Unicode: Greek and Coptic" (PDF). Retrieved 2014-06-26. ↑ "Unicode 7.0.0". Unicode Consortium . Retrieved 2014-06-26. ↑ Pirillo, Chris (26 June 2010). "J Smiley Outlook Email: Problem and Fix!" . Retrieved 22 December 2016. ↑ Chen, Raymond (23 May 2006). "That mysterious J". The Old New Thing. MSDN Blogs . Retrieved 2011-04-01. ↑ "Car Registration Years | Suffix Number Plates | Platehunter". www.platehunter.com. Retrieved 2018-12-20. Wikimedia Commons has media related to J . "J" . Encyclopædia Britannica . 15 (11th ed.). 1911.